Any venture of yours is only successful if it exists outside a vacuum, where people can easily have access to it. 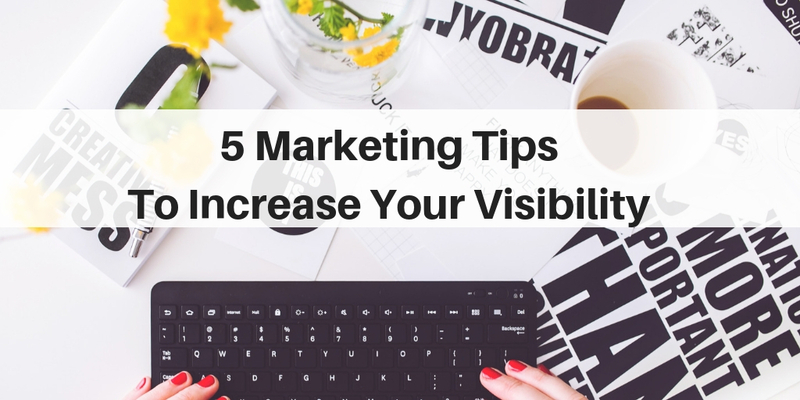 As your visibility increases, so will your conversion rate and overall revenue. Use these five digital marketing tips and promote your business more effectively than ever before. The easier your content is to read, the more people will be interested in reading it. It may sound simple, but a large majority of digital marketers don’t know how to simplify their written content. In most cases, they write big, chunky paragraphs that are not compatible with smartphone interfaces. After just a few sentences, the average reader loses interest in your content. To entice people into reading your blog posts and visiting your website, you have to make an effective pitch. Start with a simple, yet enticing introduction. Let the reader know what he has to gain from reading your content and why should they keep doing so. Don’t include just text. Make sure you equip your product/service campaigns with infographics, images and other forms of media. Boring content that is always the same is not accessible to people. Open up to readers that you want to target and you will soon be much more visible, through organic promotion. Social media isn’t ideal just for connecting with people you know. People use it as a platform of new, information and discussion. It is precisely the place you want to target people to improve your business’s visibility. How do you accomplish such a feat? The first thing you need to know is that every social media network has its own distinct set of rules. For instance, Facebook Ads allow you to target people of all ages for a specific service or product. This is generally more formal advertising than on other networks, but it’s effective and essential if you want to build a strong presence. Furthermore, you should master the basics of Instagram marketing. On Instagram, everything is about being visual. Use colors, shapes and clever designs to target people and make your brand more visible. Twitter is good for news, sharing blog posts and other, more fast-paced pieces of information. If you want to divert your attention to the B2B sector, LinkedIn is the place to be. Once you start promoting your business and increasing visibility, it’s easy to get carried away and crumble under pressure. In reality, a lot of brand and businesses find the right niche and marketing strategy but fail at one crucial thing – consistency. To be visible, you have to provide something and provide it constantly. People who have money to invest in products and services don’t want uncertainties and inconsistencies. You can use a social media manager like Sprout Social or Hootsuite. These tools can help you schedule posts and not do a thing after you’re done with the preparation. Another important aspect of increasing visibility is by posting good content. After you’ve moved on with visibility improvements, there is no other option but automation. Picking tools like Brill Assignment, EduGeeksClub.com and PaperWritingPro.com allows you to order custom-made content that’s ready to post. You won’t have time to write everything on your own. People simply adore video. It’s engaging, interactive and something is happening. This immersive form of multimedia content gives you the opportunity to capture the attention of your audience. For example, you can have your products be accompanied by video tutorials. It’s boring for anyone to read walls of text to get the information they want. Your marketing strategy aligned with videos comes to the rescue in these types of situations. How does the visibility increase happen in this situation? It’s rather simple. A video is immersive and the information found on it is easy to memorize. Upon finding something out, people will deem you a verified and easy-to-comprehend source of information. They will share your videos (especially on social media) and help build your network. You have to emphasize interactive engagement, rather than one-sided pitches. Did you know that 59% of B2B marketers have email as their primary tool? Even though it has existed for over 25 years, email communication is still one of the most effective ways to reach both clients and customers. It’s primarily because it’s intimate and to the point. You’re sending a message to someone’s inbox. There are no distractions, doodles and other features involved. Generally, brands who approach customers via email are seen as more serious. Besides, everyone loves a personalized approach. MailChimp and other tools can help you create personalized email marketing campaigns that will result in conversions you couldn’t even dream of. However, keep in mind that email as a standalone tool is ineffective. Have email campaigns be an important cog in your overall marketing strategy. With valuable content, you will be able to reach every niche audience you deem fit for your products and services. In today’s day and age, it’s essential to pay attention to whether your website is compatible with all devices. With an effective interface that everyone can use, you can further promote your website over social media. Don’t forget about email marketing and a good HR software, too. Good luck! Kurt Walker is an experienced copywriter and editor at NinjaEssays. 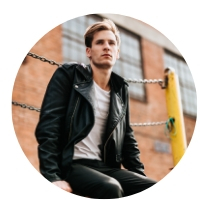 A London native, he developed an interest in writing and marketing at a young age. He has held lectures around the whole world, helping people use writing tools such as BestDissertation.com to improve their organic marketing. When he’s not busy promoting the benefits of automation, Kurt enjoys long-distance running and unorthodox past recipes.